• Check Engine Lamp lights up; ESP warning lamp lights up. • There are three bars in the instrument cluster display. • The fault memory for the automated manual transmission (ASG) has stored the fault codes P2802 and P0707, and additional fault codes. Electrical contact resistance between the plug contact to the shift actuator. 1. Disconnect the plug connector for both shift actuator motors. Perform a visual inspection (check connectors including latches, contacts and cable covering for damage). Blow out the connectors of the shift actuator using compressed air with less than one bar, and then connect again. Note: contact spray or contact grease must not be used. 2. 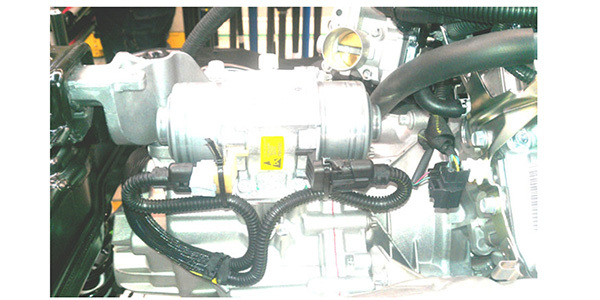 Fix the electrical feed lines onto the shift actuator as shown in Figure 1 (SMART) using a cable tie. 3. Erase faults in the memory for the engine and transmission modules. 4. 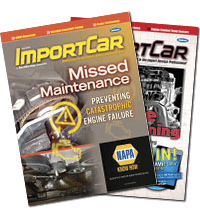 Relearn clutch position and other transmission parameters with a scan tool. 5. Perform a test drive.